It is always good to incorporate beans in our daily diet., especially if you have young ones at home. Beans are high in minerals and fiber along with protein and without the saturated fat found in some animal proteins. It is believed that soaking the beans before cooking helps to remove some of those indigestible sugars that cause flatulence and helps to cook then fast. Soaking long hours helps in digestion of the cooked beans. Beans are rich source of soluble fiber which can lower cholesterol and triglyceride levels. Usli/sundals are one of the many ways we can use the beans. 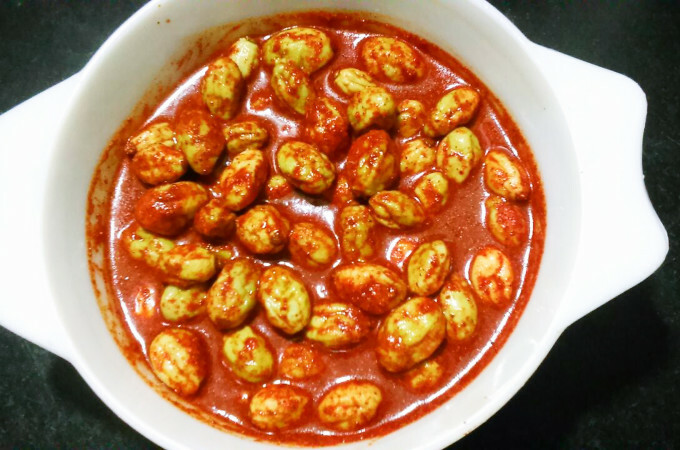 You can soak the beans and add to sambar, add handful of beans when you soak the ingredients for Dose/dosai. 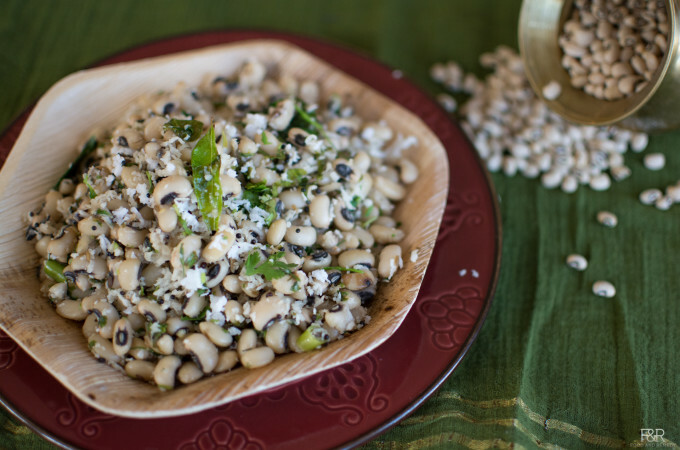 It’s a simple side dish to add to a packed vegan lunch for some easy protein! This eggplant bajji brings back memories of my grandma. She used to roast the eggplant/badanekayi on a fire until it was lightly charred and became very tender, then cool it and mash it. Unfortunately we don’t have access to that kind of wood burning stove with coal to give us that charred flavor, but we can use a gas stove or an oven to do the job. Few years back when my co-sister said I am making mango cucumber sambar, I was really surprised. 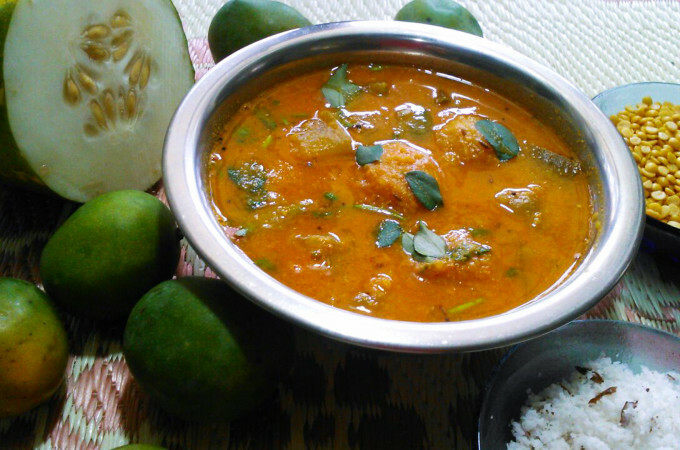 Sambar with ripe Mango? With green mango ok but with the ripe mango? She said taste it and then comment, yeah! she is absolutely right, it is awesome sambar with sour and sweet from the mango and unique flavor from the Mangalore variety cucumber/dosakai. Here in US we don't get variety mangos but if you are in India or where you can find these lovely small mangos you should try this Sambar to experience the taste. Pickles are very important part of our meal. 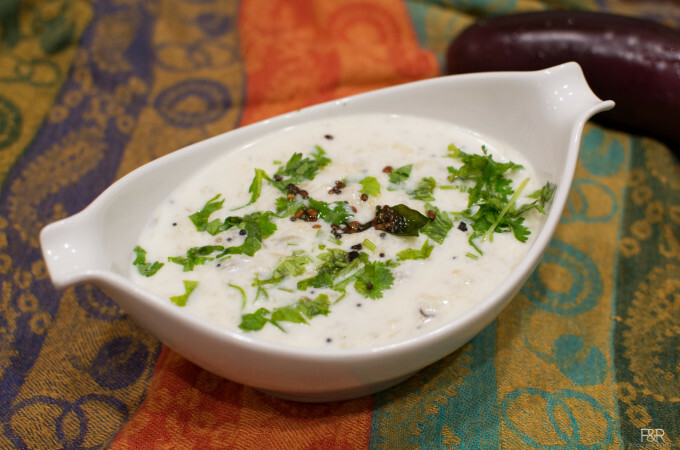 Here is the recipe of Indian hog Plum/amte kayi uppinakaayi/pickle .